The Museum of Liverpool opened in 2011 and tells the story of Liverpool and its people. 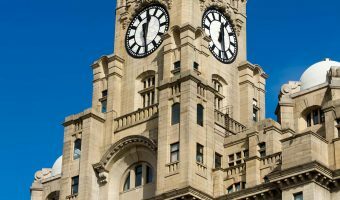 Housed in an 8,000 square metre building at Pier Head it is the first purpose-built museum in the UK for more than a century. Galleries on the ground floor (Little Liverpool and Global City) and second floor (People’s Republic and Wondrous Place) are now open. Galleries on the first floor (Liverpool Overhead Railway, History Detectives, and City Soldiers) are expected to open towards the end of 2011. Liverpool’s links with the rest of the world are explored in the Global City gallery on the ground floor. Exhibits include a brass Buddha statue, looted by the Kings’ Regiment (Liverpool) from Burma in the 19th century, and a model of the Empire State Building built with Bayko. The East Meets West exhibition explores the links between Liverpool and its twin city Shanghai. Exhibits include a scale model of a traditional Chinese ship and a 10 metre long Chinese ceremonial dragon. Little Liverpool, also on the ground floor, is a gallery aimed at children under 6. It features sensory and visual displays and an interactive water-play area. Entry is by free timed ticket, available from the ground floor information desk. The People’s Republic gallery on the second floor tells the story of the people of Liverpool, from the time of the earliest settlers to the present day. Topics covered include health, homelessness, employment and unemployment, politics, and community activism. Exhibits include the first Ford Anglia to roll off the production line at Ford’s factory in Halewood, a reconstruction of Victorian tenement housing, and a display highlighting the role Liverpudlians played in WWI. A temporary exhibition in the People’s Republic gallery displays a magnificent architectural model of Sir Edwin Lutyens’ design for Liverpool Metropolitan Cathedral. Had it been built, it would have become the second largest cathedral in the world. A giant window in the People’s Republic gallery offers fantastic views of Pier Head and the Three Graces. Next to the window is an 18 foot tall statue of a Liver Bird, exactly the same height as the famous statues on the Royal Liver Building. The Wondrous Place gallery, also on the second floor, celebrates Liverpool’s creative and sports personalities. Exhibits include a suit designed by Vivienne Westwood for Frankie Goes to Hollywood singer Holly Johnson, and the skeleton of Ambush II, winner of the 1900 Grand National. Wondrous Place also features two fantastic big screen film experiences. Kicking and Screaming explores what it’s like to be a fan of Liverpool FC or Everton, while the Beatles Show tells the story of the Fab Four. Free timed tickets for the films are available from the information desk on the ground floor. Entry to the Museum of Liverpool and all galleries and exhibitions is free. The museum is open every day except Christmas Day, Boxing Day, and New Year’s Day. Opening times are 10 am to 5 pm. Facilities at the museum include an information desk, café, gift and souvenir shop, free wireless internet access, and a cloakroom. The Museum of Liverpool is situated at Mann Island at Pier Head, between the Three Graces and Albert Dock. The Museum of Liverpool is a 20 minute walk from Liverpool Lime Street, the closest mainline train station. At Lime Street it’s possible to transfer to the Merseyrail network and take a Wirral Line train to James Street station, just a few hundred yards from the museum. To get to the museum by car follow the signs for Albert Dock. It is well signposted from the M62 motorway and other major roads into the city. Car parks nearby include the Capital Car Park on Fazerkerley Street and the three car parks at Liverpool One. The nearest bus station the Liverpool One Bus Station (previously called the Paradise Street Interchange). The Mersey Ferries terminal at Pier Head is right next to the museum. It offers ferry services to Seacombe and Woodside on the Wirral, and cruises on the Mersey. Other attractions within easy walking distance of the museum include Merseyside Maritime Museum and International Slavery Museum, the Beatles Story, and the Yellow Duckmarine. Liverpool One and the Echo Arena are also nearby. 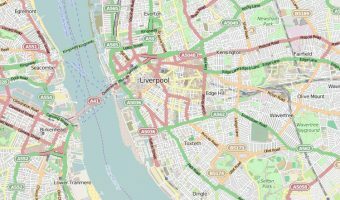 Map showing location of Museum of Liverpool. We had an excellent day out at the Museum at the Pier Head on 14th October with our group from Age Concern Crosby. We are due to visit again on 20th and 22nd of October with more of our service users. We are very much looking forward to it. Thank you. The focal point of Liverpool’s waterfront.